In a recent survey, more than half of all parents admit that they regularly log in to their teenager’s Facebook account. 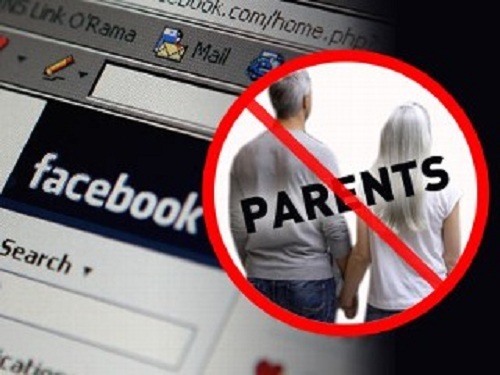 In a worldwide survey, parents of teenagers were surprisingly frank about spying on what their kids are doing on Facebook.Conducted by internet security company AVG, more than 50% of Canadian parents stated that they secretly monitor the Facebook accounts of their children. And if you happen to be a teen in the US or Spain, the likelihood that your parents are logging into your Facebook account is even higher – 72% in the US and 61 % in Spain. So, in what countries do parents give their teens the most privacy? Well, in France 32% admitted to doing a bit of Facebook snooping, while in Japan just 10% of parents stated that they spied on their children. Have you ever secretly accessed your child’s Facebook account? And for teens, do you suspect that your parent may be looking at your Facebook activity? Is spying on your child’s Facebook account a violation of privacy and trust, or do you think it is a justified way of keeping track of what your child is doing and protecting him or her?